Toward the end of trading Monday, the Dow traded up 0.63 percent to 25,609.31 while the NASDAQ climbed 1.87 percent to 7,546.60. The S&P also rose, gaining 1.34 percent to 2,779.71. Monday afternoon, the information technology shares rose 2.2 percent. Meanwhile, top gainers in the sector included USA Technologies, Inc. (NASDAQ: USAT) up 17 percent, and Intelligent Systems Corporation (NYSE: INS) up 18 percent. In trading on Monday, utilities shares rose by just 0.3 percent. 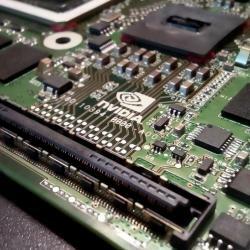 Israel-based Mellanox Technologies, Ltd. (NASDAQ: MLNX) reached an agreement to sell itself to U.S.-based Nvidia Corporation (NASDAQ: NVDA) for $6.9 billion, or $125 per share in cash. Mellanox confirmed it will merge with Nvidia to create a new business that will power over 250 of the world's TOP500 supercomputers. Axovant Sciences Ltd (NASDAQ: AXGT) shares got a boost, shooting up 23 percent to $1.8250 after the company's AXO-AAV-GM2 gene therapy showed no serious adverse events in a Tay-Sachs patient and was well tolerated. Patient condition was stable from baseline to month 3. Shares of Yatra Online, Inc. (NASDAQ: YTRA) shot up 33 percent to $5.06 after Ebix offered to acquire the company for $7 per share. Seres Therapeutics, Inc. (NASDAQ: MCRB) shares were also up, gaining 25 percent to $6.37 after reporting microbiome immuno-oncology focused collaboration with AstraZeneca. Shares of AquaBounty Technologies, Inc. (NASDAQ: AQB) were down 26 percent to $3.61. AquaBounty Technologies shares surged 118.3 percent Friday after the FDA lifted import alert on AquAdvantage Salmon. 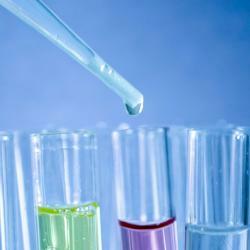 Seelos Therapeutics, Inc. (NASDAQ: SEEL) shares dropped 18 percent to $2.79 after surging 11.51 percent on Friday. Revolution Lighting Technologies, Inc. (NASDAQ: RVLT) was down, falling around 32 percent to $0.2650 after VL 1 LLC, an affiliate of the Company's Chairman and CEO, announced it has decided not to pursue an acquisition the company. In commodity news, oil traded up 1.2 percent to $56.76 while gold traded down 0.6 percent to $1,291.20. Silver traded down 0.5 percent Monday to $15.28, while copper rose 0.3 percent to $2.902. European shares closed higher today. The eurozone’s STOXX 600 climbed 0.6 percent, the Spanish Ibex Index rose 0.3 percent, while Italy’s FTSE MIB Index gained 0.7 percent. Meanwhile the German DAX climbed 0.75 percent, and the French CAC 40 rose 0.66 percent while U.K. shares rose 0.37 percent. U.S. retail sales rose 0.2 percent for January. U.S. business inventories increased 0.6 percent for December, versus economists’ expectations for a 0.6 percent rise. Federal Reserve Chairman Jerome Powell is set to speak in Washington, DC at 7:00 p.m. ET.